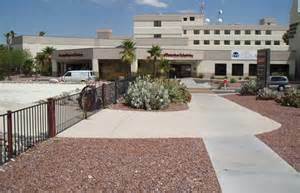 Northwest Medical Center is one of the larger community hospitals and healthcare providers in Tucson AZ. The Northwest Medical Center facility at La Cholla and Orange Grove is a 300-bed facility. NMC provides comprehensive inpatient and outpatient services. Patient services include emergency care, heart and stroke care, weight-loss surgery and spine and joint programs. In total, there are over thirty five medical specialties offered at the main facility. Northwest Medical Center has a staff of over 640 doctors that are supported by a team of healthcare professionals. NMC offers a healthcare facility focused solely on women’s medical needs. It was Arizona’s first freestanding, self-contained medical facility for women. Each urgent care center meets the needs of individuals needing a primary care provider when theirs regular physican can’t be scheduled. For example during the evening or on a weekend when the office isn’t open? Northwest Urgent Care offers six convenient urgent care centers throughout the Tucson area. Each urgent care center is staffed with on-site physicians and registered nurses. Appointments are not necessary and all patients are seen on a walk-in basis. If you are considering a move to OR from Tucson AZ, we can help.